I come up with recipes on my own all the time. I like to think of them as true Laughing Spatula originals. This post was developed way back in ye olden days of Laughing Spatula- more of a giggling spoon back in the day, to be honest. Long story short- I thought I made this recipe up, and low and behold, there are variations of it all over the internet. Who woulda thunk? I digress. BUT, I do completely UNGRESS (is that a word?) 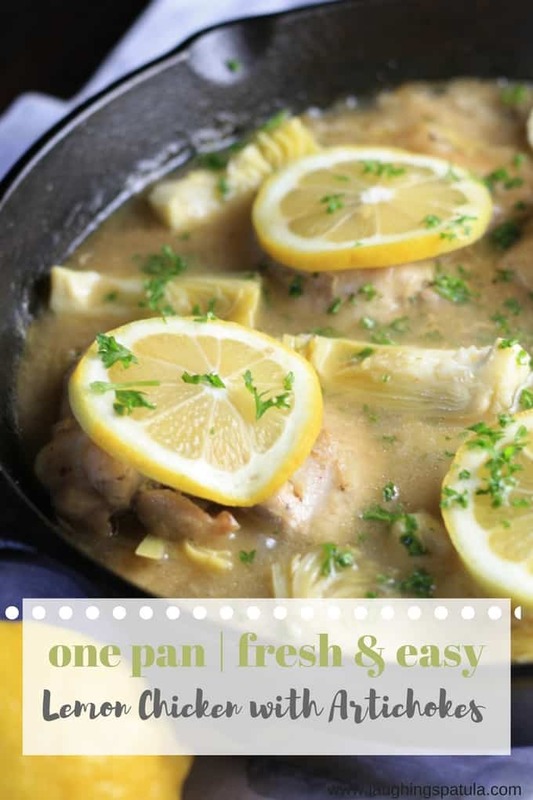 that this is THE BEST Lemon Chicken and Artichoke recipe out there. Why? 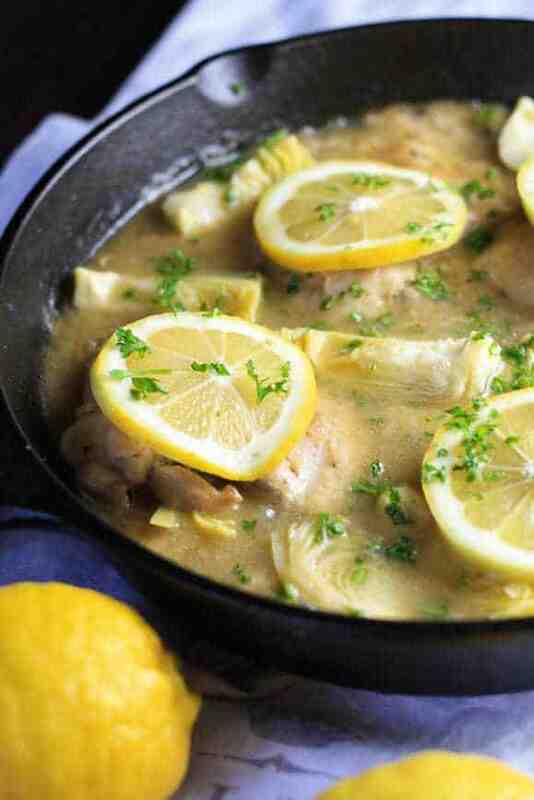 Let’s chat..
Chicken, artichokes, and lemon ready to be served up! Anything made in a skillet that only gets one pan dirty is my best friend. 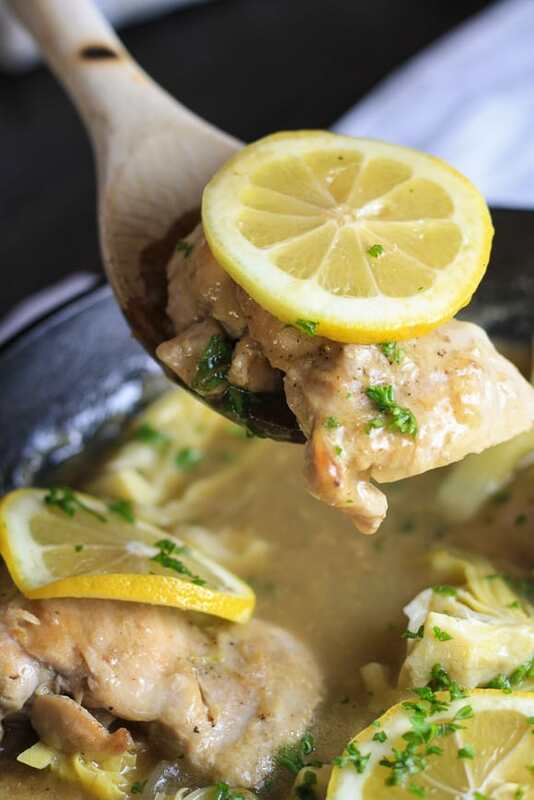 The lemon chicken is tangy, and the artichokes…oh man, the artichokes in the sauce…C’est parfait. This one pot wonder comes together quickly and is perfect for a weeknight meal, and very healthy too. There is no doubt I will be making this again. Pair it with a nice glass of chardonnay and you got yourself one happy lady. Am I the only one that sometimes gets the cooking bug, gets halfway in, and then thinks “Ugh..damnit…I should have just went and sat on the couch?”. If you listen to the For Crying Out Loud podcast with Lynette Carolla and Stefanie Wilder-Taylor (which we’ll be on in the coming weeks- stay tuned! #humblebrag #YAAAAASSSS! I’m a huge fan and can hardly contain my excitement. ), we’re called no-getters. No-getters aren’t necessarily terribly lazy people- we just, you know, like to sit on the couch more than your traditional go-getter. We’re a little spacey, usually a lot of fun, throw in a few swear words, and we most likely can spend days in our pajamas while we shuffle our kids off to school with a 1/2 full flask in our purses. My point is- if you’re a no-getter, this is the dish for you. Flavorful, and it will seem like you put tons of effort into it, but it takes a minimal amount of time, and looks impressive. Like that science project you helped your kids with! Go-getters and no-getters alike, this is best served with orzo, cheesy stuffed garlic French bread, or if you’re carb free, pair it with our asiago smashed brussel sprouts. A zesty dish that's a cinch to prepare, and only dirties 1 pan! Magic, I tell ya! In a pan at least 2 inches deep (a well seasoned cast iron works great! ), gently heat 2 tablespoons of olive oil, and sear chicken thighs sprinkled with salt and pepper. Set aside once lightly browned and cooked throughout. 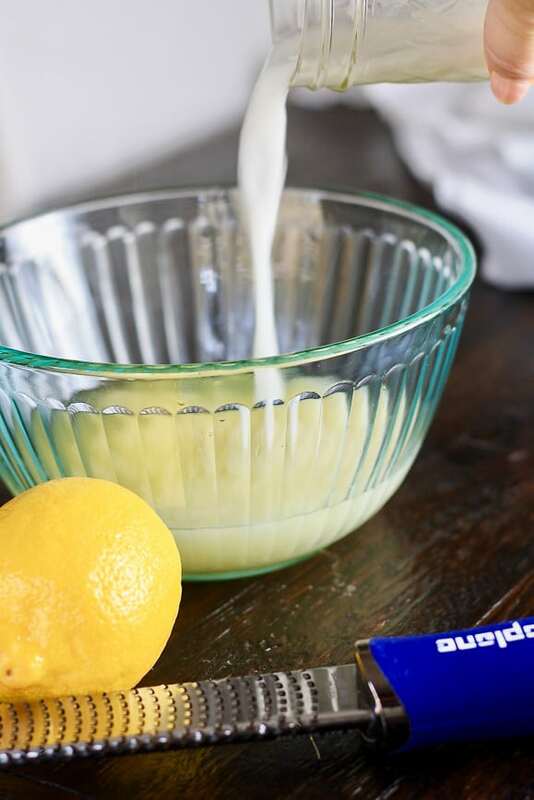 In a small bowl or mixing jar, combine cornstarch and water and whisk until a well combined slurry. Add chicken stock, lemon juice, cornstarch slurry, and lemon zest to pan (no need to drain chicken juice from prior step). Stir well, and re-add chicken to pan. Sauce will thicken, and when it does, remove from heat. Add artichokes immediately after removing pan from heat, and cover with lid until ready to serve. Garnish with feta cheese or parsley and enjoy! Hmmm. 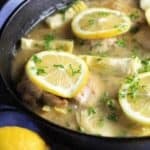 The recipe for lemon chicken artichokes looks great but how many artichokes? I’m guessing one 14oz. can? Hi Ann! We caught the error this morning and updated the recipe card. You are correct, one 15 ounce can. So sorry!